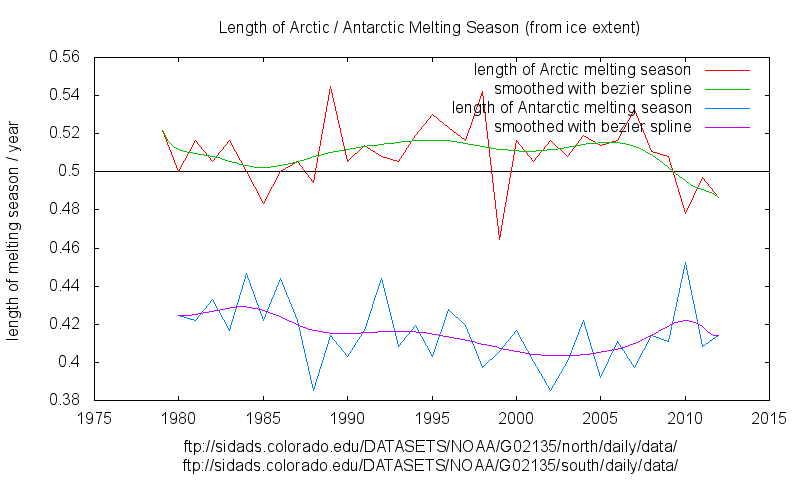 Ice extent was filtered with a 15 day filter to remove short term “weather”. This produces a smooth annual cycle. Min and max dates where then determined by taking the rate of change and finding the zero crossing points. Bezier splines aid visualisation but can twist dramatically at the extremes if there are large variation. 0.5 line represents equal 6 months periods of freezing and melting.